Hi, friends! 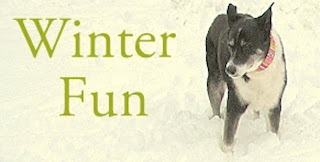 Welcome to the first annual Winter Fun Blog Walk. I needed a wreath for my front door, after taking down my Christmas wreath. I decided to give new life to an old wreath that I have. It had been used on the stairs to my deck, and it was badly faded by the sun. 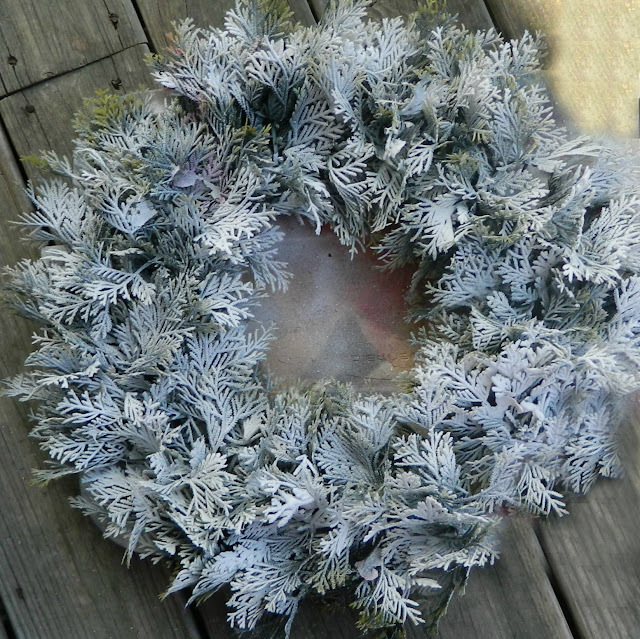 Here is what the wreath looked like before I removed all the decorations. I bought a can of Snow at Hobby Lobby and gave it 2 coats of "snow". It does say on the can that this is not to be used for flocking, so I gave it 2 lights coats. I made sure it was thoroughly dry in between each coat. After the snow was dry, I hot glued 3 berry branches on each side of the wreath. Then I added the bow with snowflakes, and glued the bird on. 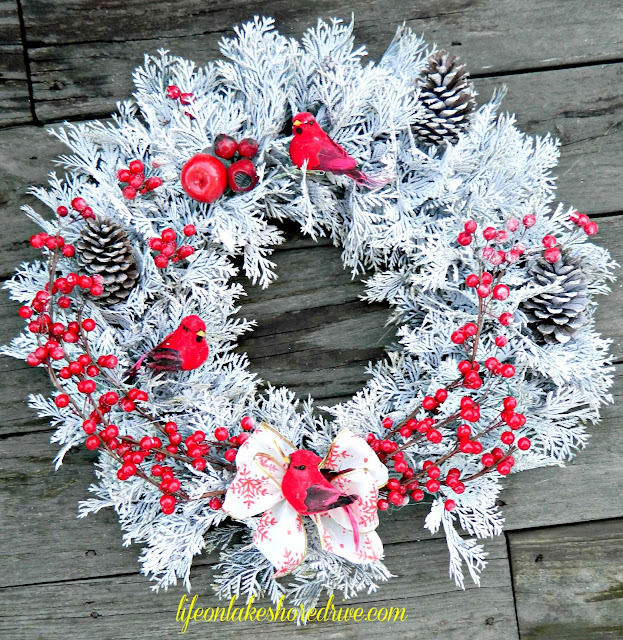 I completed the wreath adding a few more birds, pine cones, and a few berries throughout the wreath. 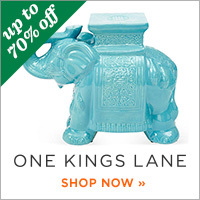 This is a super fast and easy way to bring a little winter into your home. Thank you so much for stopping by! I love it when you stop by for a visit. 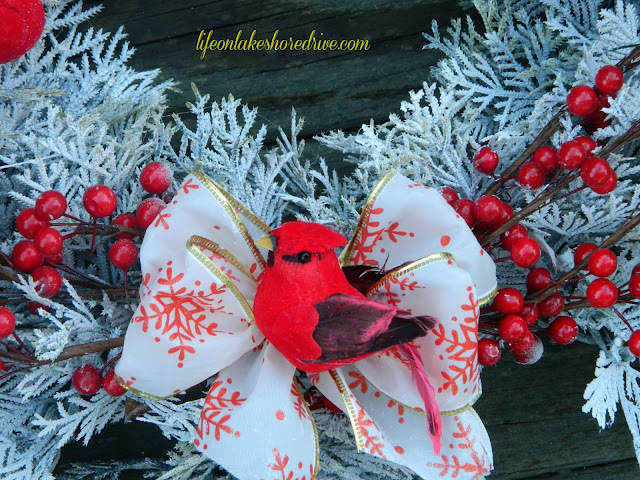 Don't forget to hop on over to visit all of the other fun winter projects! Love the clever remake and that darling little cardinal! So cute. I just love red birds - so bright against the whites of winter. Your wreath is beautiful!! What a great idea!! 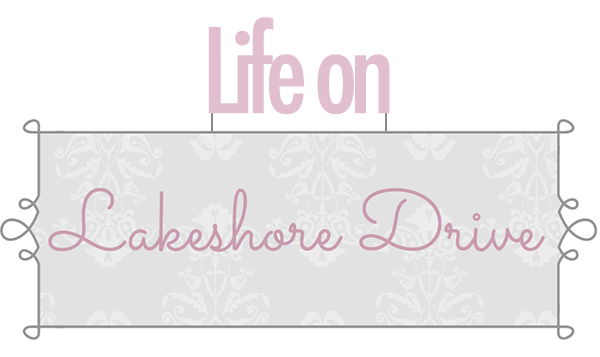 We are excited to get to know you through blog world! 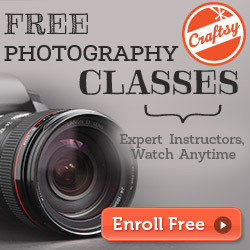 You have so many great posts on your blog! Have a great day! Oh I love your wreath! It's beautiful! I made a couple this week to make up for the lack of Christmas decorations, ready to hang them up today. Funny, before I started blogging, I never used winter decorations. I love how it keeps the home looking 'winter festive'! Your wreath is stunning! I especially love the flocking effect. Wow! The finished item looks many, many times the price you invested in it! I love the wreath makeover,perfect for winter. How creative! I would have grabbed a can of spray paint and most likely ruined the wreathe....using Snow is a wonderful tip. 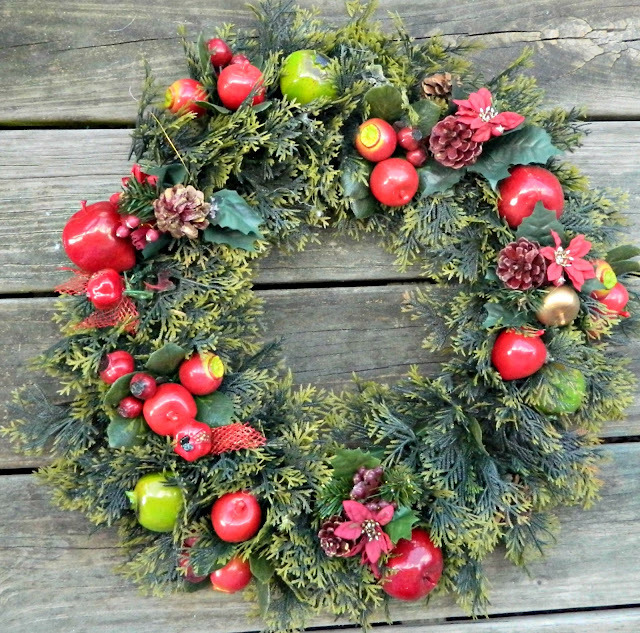 Your wreathe is beautiful and just perfect for continuing the winter season. Thank you so much! Your grandmother's tree sounds lovely. I love the red against that white. I sure wish we could get some real snow. LOL Thank you so much for stopping, and have a wonderful weekend. Thank you so much! Headed to see your projects now. Working really cuts into my blogging time. LOL Thank you so much for stopping by! The hop has been so much fun. Thank you so much! I am so excited about it, too! This has been so much fun!! Can't wait to do it again. Have a wonderful weekend! Thank you so much for your sweet comment. It is amazing what a little paint or "snow" will do. :) Thank you so much for stopping by, and have a wonderful weekend. Kathy your wreath is beautiful! What a gorgeous transformation, love the snow look. It would fit right in where we live. Having a cold snowy winter, more snow due any time tonight or tomorrow or both. I love the red against the white. 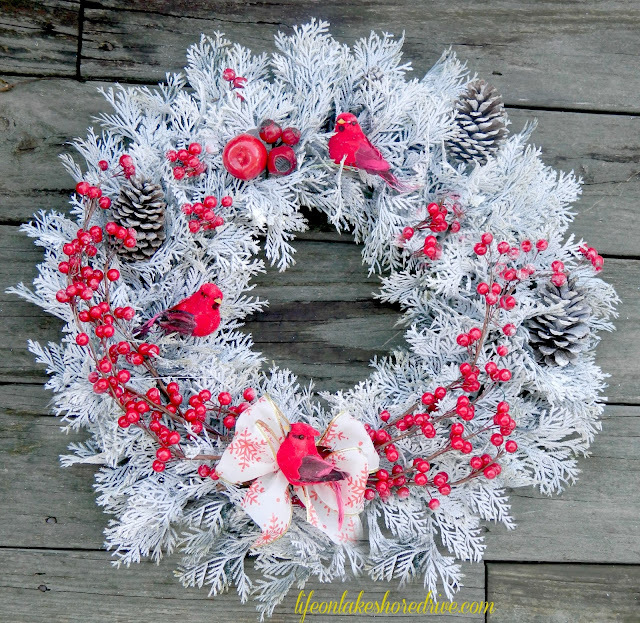 Great idea to snazzy up a little tired wreath to get some more mileage out of it. 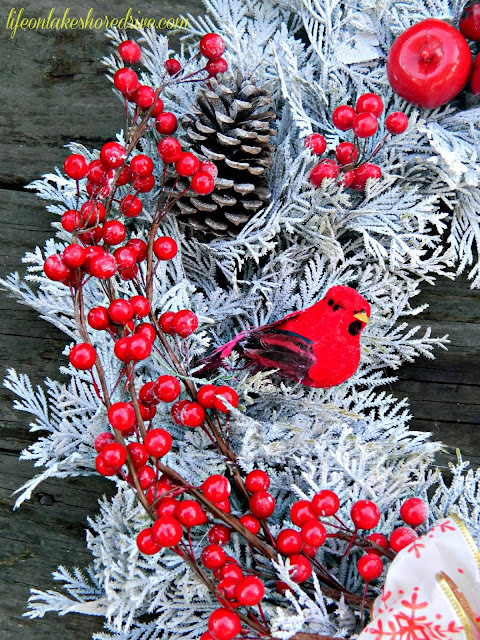 My favorites on your wreath are the cardinals and berries. 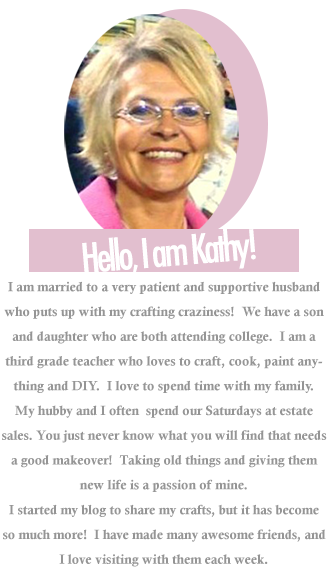 Just adorable Kathy! What a transformation! I have to admit, I like it now even better! Well done! Really cute, Kathy...love the cardinals! Very nice wreath transformation! 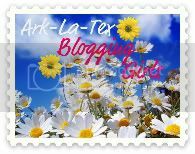 Stopped by from the Aloha Friday Blog Hop! Have a great weekend! I am your newest follower and was hopin' that you would stop by my page (currently under construction so don't mind the missing image, etc), hang out for a bit, and like me back! I am in love with you wreath. It looks so wintery, and I love the red berries and the bird. You did a great job! I hope the new year is being kind to you. Adorable and very winter like! Great idea to recycle the old one as opposed to running out and buying new!